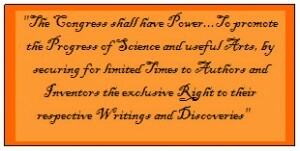 The Framers of the US Constitution made sure that Congress would be given the power to enact laws to protect inventors and artists. The grant of a patent by the US government provides the patentee with the legal right to prevent others from making, using, and importing the invention for the length of the patent term. To assess whether the inventor has at least invented something “new”, it is recommended that a novelty search be performed. Although this is not required by the Patent Office, it can often be highly useful in determining whether to go forward and/or how to modify/present the application to the Patent Office in view of the prior art. To contact us regarding our services, please call 1-480-899-3021 or provide your contact information to info@patentaz.com, and we will get in touch with you as soon as possible.